That one new Teratophoneus curriei skeleton is the most complete dinosaur skeleton found in the Southwestern United States. It also looks like birds and pterosaurs peacefully co-existed and that birds just happened to take over pterosaurs as the masters of the sky without meaning to. New dinosaur eggs found in Eastern China described as Umbellaoolithus xiuningensis, since it was found in Xiuning county in Anhui Province. I wonder when they can X-ray the eggs to see what kind of dinosaur it was. Parts of a tyrannosaur, an articulated hadrosaur, and a possible new species of nodosaur has been found in Montana. A mostly complete 157-152 million year old, 5.5 meter, icthyosaur fossil found in India. New footprints found in South Africa came from a 30 ft long meat eating dinosaur that lived in the Early Jurassic period, 200 mya. That's pretty big for a meat eating dinosaur that came along so early. 70 million year old ornithopod found in Europe with odd teeth described and named Matheronodon provincialis. Tyrannosaurus rex used it's arms to slash at it's prey. I always suspected that this was the case, that they were used to inflect secondary damage on it's victim while that head and jaws did the main damage. So much for them being 'useless'. I hope this helps to close up the scavenger theory permanently. Those arms in close proximity to prey would at least contribute to the animal dying of blood loss or an infection if it escaped. Even with arms smaller in proportion to its size than most other predatory dinosaurs, those are still anatomically strong and well equipped claws and an animal just doesn't grow that big in a world of large herbivores to steal carcasses. I also find it annoying and dumb that this idea is still alive. Even Horner originally didn't believe it via his one book, 'The Complete T. rex'. "I actually don't truly believe that T-Rex was 100% a scavenger. However, sometimes, I like to bring it up just to see my colleagues argue." He felt that T. rex could kill some prey, but it was just a 'weakling killer' (old, sick, etc.) for the lack of a better description. But he winded up believing his troll argument, which led to that one scene in JP3. I think he went back to his 'true' arguement, but at this point, nobody believes him about T .rex, let alone most of his other theories: Torosaurus=Full grown Bull Triceratops, boneheads not being able to headbutt, etc. It looks like a relative of Quetzalcoatlus has been found in the Gobi Desert that has been dated at 70 million years old. And this one might be the biggest of them all. We know the main reason why more young male Woolly Mammoths are found then females. It's because they lived wild and risky bachelor lives. This talks about the recently discovered sauropod dinosaur, Mierasaurus, that was found near Moab, Utah. Also, not only did the one meteorite that wiped out the non-avian dinosaurs hit a place that had a lot sulfur, but it was also oil rich as well. Oil, sulfur, and very big hot boulder coming at the Earth very, very fast...It's no wonder why dinosaurs that weren't birds died out. It looks like dinosaurs were far more durable then we give them credit for. While dinosaurs were by no means invulnerable, the fact that they were capable of surviving injuries that would normally kill a mammal is rather believable. A damn Hadrosaur surviving an attack to the head by a T. REX is incredible, and same with serious scarring to the Triceratops frills from rutting. It gives a sense of how violent and dangerous the Mesozoic world was, and he'd be incredibly out of our depth even if we had adapted to the air content and harsh climate. It doesn't even mention how Stan survived a bite to the head either. It really is amazing just how tough they really were. The world's largest sauropod trackway has been found in France and is 500 ft long and is dated to the Late Jurassic. They also concluded that the sauropod that made it was 115ft long and had to weight of slightly over 5 African elephants. 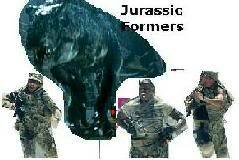 It's most likely a Turiasaurus or a close relative. Roadworkers in Heyuan, China, discovered a batch of 43 dinosaur eggs. 6,000+ Edmontosaurus bones have been donated to The Denver Museum of Nature and Science. 100 million year old troodontid egg found in Russia. 215 eggs belonging to the pterosaur Hamipterus tianshanensis have been found in China. So back in summer, a 74 million year old hadrosaur named Walter was found with skin. That one Triceratops found in Colorado this year acutally turned out to be a Torosaurus. 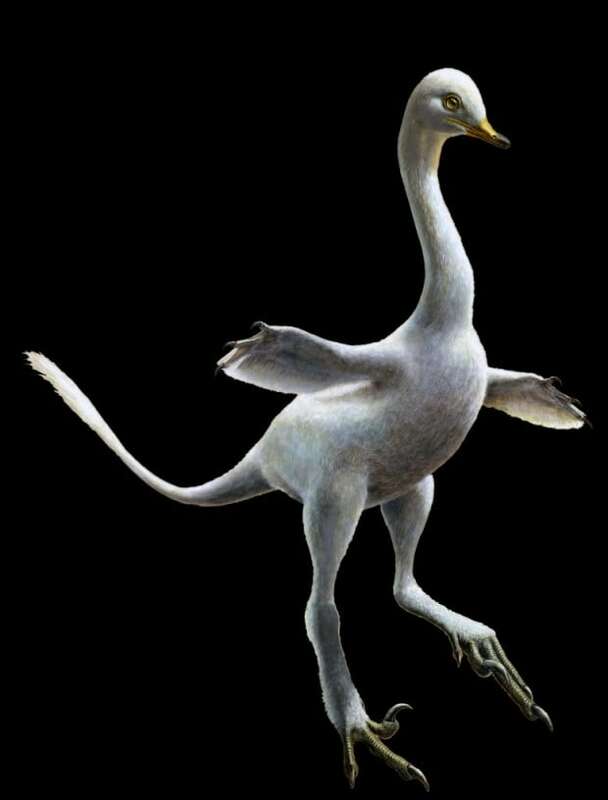 A new semi-aquatic, swan necked, relative of Velociraptor found in a French dealer's shop-it originally came from Mongolia, I think-has been described as Halszkaraptor escuilliei. That's incredibly cool. Looks like Jack Horner has been here with one of his early chickenosaur attempts. It actually does with the swan neck. It looks like T. rex may have really rumbled like crocodiles instead of roaring. As someone who has grown up in awe and genuine fear of the mighty T. rex roar from Jurassic Park and The Land Before Time as a child, I am starting to grow a certain level of trepidation and respect for the new sound of the T. rex. When I was writing scenes for my novel, The Planet Lost in Time, I actually opted for the T. rex to produce a deep guttural growl that would reverb through the jungle and through living creatures. This came to be, after seeing Jurassic Park performed live at the Royal Albert Hall, and feeling the terrifying growls of the Rex vibrate through the ground and through me. How accurate do you think this sound is? It does sound fairly accurate to me. I do think it did roar, but not quite as often as we think. Mainly for fighting/warning others or signaling to it's family members that a successful kill was made. A new species of troodontid named Almas ukhaa, after the relative of Bigfoot that is supposed to live in Central Asia. It looks like feathered dinosaurs, or at least Anchiornis, was even fluffier then we even thought. Sauropod footprint found in South Korea, which date back to the Cretaceous period, have scale impressions on them. A new species of Tarchia that was found in Mongolia has been described. A 73-71 million year old diving bird found near Vancouver Island, close the British Columbia, has been named Maaqwi Cascadensis. I edited my last post so that you see the proper link. Sorry about that. That new semi-aquatic raptor is now part of a new clade of Dromaeosaurs. The new year is almost over, but we're not quite done yet. Perfectly preserved 130 million year old dinosaur eggs, most likely being that of an oviraptoriod, were found in Ganzhou, China. Footprints of multiple tyrannosaurs, that were up to 26 ft long were found in Mexico. More proof that tyrannosaurs were pack hunters of some form.